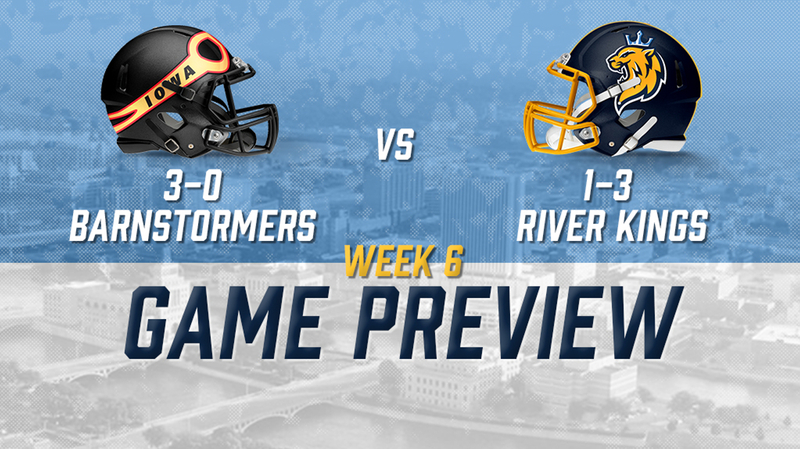 CEDAR RAPIDS- After a bye week following a tough loss to the Quad City Steamwheelers, Cedar Rapids is hoping their week of preparation can bode them well against this week’s opponent: the Iowa Barnstormers. With a close proximity between the teams, there seems to be more than just a tally in the win column for this game; there is Iowa pride on the line. At quarterback, Palandech had an average performance completing about 53% of his passes (8-15). He did not use his arm much as the offense, although stagnant at times, relied heavily on the ground game. However, Palandech was able to find the endzone twice. The River Kings are going to want him to turn it up a notch this week. Kalif Phillips, a running back that has spent the beginning of this season in Nate Chavious’ shadow, was able to be the feature back in this game. That being said, neither Phillips nor Chavious had a stellar game. Phillips rushed ten times for 24 yards and no scores, and Chavious has six rushed for 15 yards, also with no scores. With the two of these backs playing well, the backfield could be a dangerous aspect to this week’s game against Iowa. Last game was all about Marquel Wade. He reeled in five catches for 83 yards and two touchdowns, which included a monster 43-yard touchdown. His performance has been one that all River Kings fans can enjoy. In almost every game, he has been a force to be reckoned with. Along with Wade being a dominant force in the air game, Cedar Rapids native and Coe College graduate, Demetrius Harper, was able to reel in his first career touchdown towards the end of the game. An honorable mention also goes out to KJ Jenkins, who was able to return a 48-yard extra point return. Although the River Kings did not win, that play will be one to remember for the young man. In the Barnstormers last game against the Nebraska Danger Iowa was able to pull away 58-55 on a late 42-yard touchdown. One name that the River Kings should get prepared for is Daquan Neal. Under center, Neal was able to complete 80% of his many passes (20-25) for 218 yards and four touchdowns. He was also able to use his legs against Nebraska’s defense by rushing 14 times for 72 yards and three more touchdowns. If the River Kings want to win this game, they’re going to have to find the equation to stop Neal. With Neal slinging four touchdowns, the main man in the hands department was Ryan Balentine. He was able to catch six passes for 72 yards and three touchdowns. Connor Hollenbeck was able to catch the fourth and final touchdown for the Barnstormers. With an offense solely run through Daquan Neal, the River Kings defense know what is coming their way. With a week to prepare for this team, the River Kings know what is on their plate for this upcoming game: A high-powered offense ran, mainly, through one guy. If they can stop him, this will be a good game nonetheless. 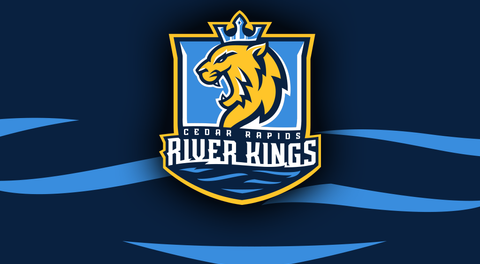 The game between the River Kings and Barnstormers will be on Saturday, March 30 at 7:05pm CST at the US Cellular Center in Cedar Rapids. Tickets can be found on the River Kings Website, and the game will be livestreamed on the IFL’s YouTube page, which you can find by clicking here.